Wilde, Oscar. The Fairy Tales of Oscar Wilde. New York: Hart Publishing Company INC., 1975. 129-180. Oscar Wilde (1854-1900) was an incredibly talented author that produced multiple famous bodies of writing during his lifetime. He came from a family of unconventional, well-educated parents that were both established writers. Wilde faced a difficult time in his life when he began to recognize his own sexual nature at a time when homosexuality was just beginning to be whispered about (Young). Although he was married with two children, he was involved with many young men, one of which was publisher’s office boy (Young). Homosexuality was illegal in this period of time and Wilde was tried twice for homosexual offences, and imprisoned for two years of hard labor (Young). His wife left him, his children were taken away, and upon release from jail his writings were banned and he had no choice but to exile in France where he died a few years later due to multiple health issues (Young). Mermaids have evolved from many Ancient stories all merging the relationship between gods and men (Gilbert, 20). The Ancient Greek ancestors to mermaids are called Sirens. Sirens were portrayed as being seductresses who lured sailors in with their captivating voices (Giesecke). They were also viewed as being exceptionally beautiful beings. These ideologies were passed on to mermaids. In Oscar Wilde’s story The Fisherman and His Soul the main mermaid in the story is described as “So beautiful was she that when the young Fisherman saw her he was filled with wonder, and he put out his hand and drew the net close to him, and leaning over the side he clasped her in his arms.” She has gold hair and her tail is silver and pearl (Wilde). She is described in a very sensual nature when Wilde describes the mermaid’s bare chest, “cold waves dashed over her cold breasts” (Wilde). This is in keeping with the ancient ways of viewing mermaids as seductresses because Wilde is describing the Fisherman’s very carnal first response to the half naked mermaid. 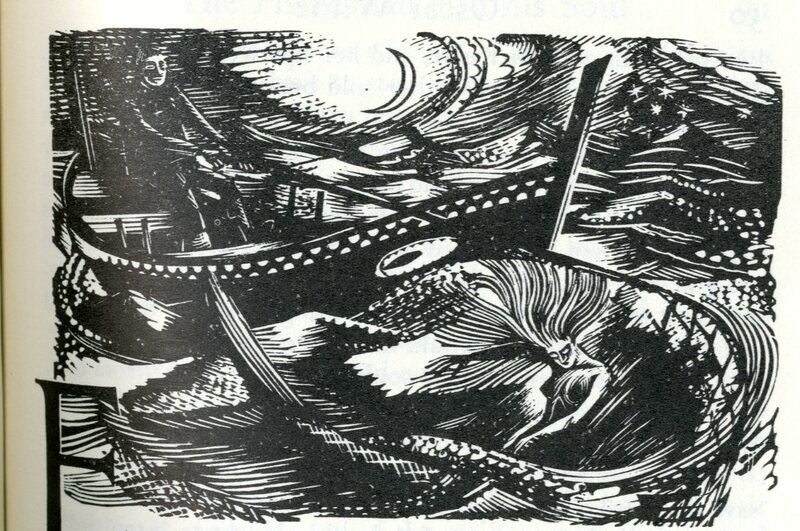 In this image illustrated by Paul Bacon the mermaid is depicted as a whimsical and feminine creature with her long, flowing hair and naked bosom. This image solidifies the readers’ understanding of the mermaid as a seductress and captivating as she has all the fish surrounding her. Mermaids find solid literary roots in Ancient Greek mythology, which Wilde uses in his story to enhance the credibility of his mermaid character. She is very traditionally depicted through her captivating voice, which is what causes the Fisherman to fall deeply in love with her. The Fisherman wanted nothing more than to spend eternity with the mermaid but was unable to do to because the mermaid had no soul, which is a direct influence of early Christian literature. Early Christians held fish as a sacred symbol for Christ. The fish became a commonly known archetype symbolizing God as the savior for man (Gilbert, 30). During the first millennium, when astrological signs were first created, two fish represented the sign for Pisces. The lower fish was known to be a mermaid or “devil fish” (Gilbert, 30). The battle between Christianity and mermaids was apparent in literature including Wilde’s work The Fisherman and His Soul. The mermaids in this work are depicted as having no souls. The Fisherman must wish his soul away in order to live eternally with the mermaid. 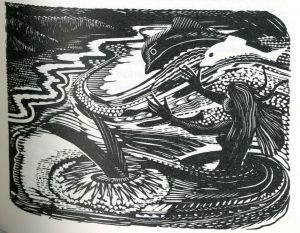 The priest in the story will not help the Fisherman in wishing his soul away because he suggests that the sea folk are unable to differentiate between good and evil seeing as they have no souls. The priest tries to stop the Fisherman from associating with the sea folk. This is a direct influence of early Christian literature, which cursed mermaids to eternal damnation because they have no souls (Gilbert, 30). Early Christian literature has a strong influence in how mermaids are portrayed in Wilde’s story and even in Disney’s story. Early Christian literature then had an account of a mermaid named Liban, who was baptized in the Church and provided with the opportunity to die and go directly to heaven (Gilbert, 30). This was a pivotal point in the telling of mermaids because it allowed for a different type of story to be told of mermaids, rather than simply being soul-less creatures unable to find redemption. This crucial change is evident in Wilde’s story The Fisherman and His Soul. At the end of the story the Fisherman’s soul had tried to become one with him again, but was unable to do so because the Fisherman’s heart was filled with the love he had for the mermaid. This shows that love is more powerful than anything, even if it be between two beings not born of the same nature. The priest would not bless the sea because he believed the Fisherman and the mermaid were “accursed in their lives” and did not deserve to be rectified in their death. Three years later when flowers mystically provided by the late Fisherman showed up in the Church and the priest felt overwhelmed by love, which causes him to realize he had been wrong in attempting to stop the love of these two beings and went back to the sea to bless it. This symbolizes Christian literature’s eventual acceptance of sea folk as being capable of redemption. Wilde faced a trial in 1898 for committing the “crime” of homosexuality (Russell). Are the connections between the storyline in The Fisherman and His Soul and Wilde’s real life occurrences somehow intertwined? A critical connection between the controversy of one man being sexually involved with another and going against religious commandments and a Fisherman falling in love with the forbidden life of the sea can be viewed in multiple ways. An interesting way of close reading of The Fisherman and His Soul is looking at Wilde as being the Fisherman. He was willing to give up the approval of those supreme advisors to him to stand up for what he truly believed in and to be with his love. Christopher Nassaar, a well-known Oscar Wilde scholar and English professor at the American University of Beirut said that Wilde’s emerging consciousness of himself as a homosexual in turn introduced him into a “demon universe” of sin, guilt, and atonement, one which required a series of masks to escape public scrutiny. (Russell). In the conclusion of the story, where the priest eventually accepts the unity of the two could be a hidden belief that maybe one way the church will accept homosexuality. He could have possibly masked his feelings into his work as he was affected by the scrutiny of the Victorian public. This image illustrated by Paul Bacon depicts the mermaid caught in the Fisherman’s net. This may be a representation of Wilde feeling trapped by his Victorian society in being unable to be open with his homosexuality. 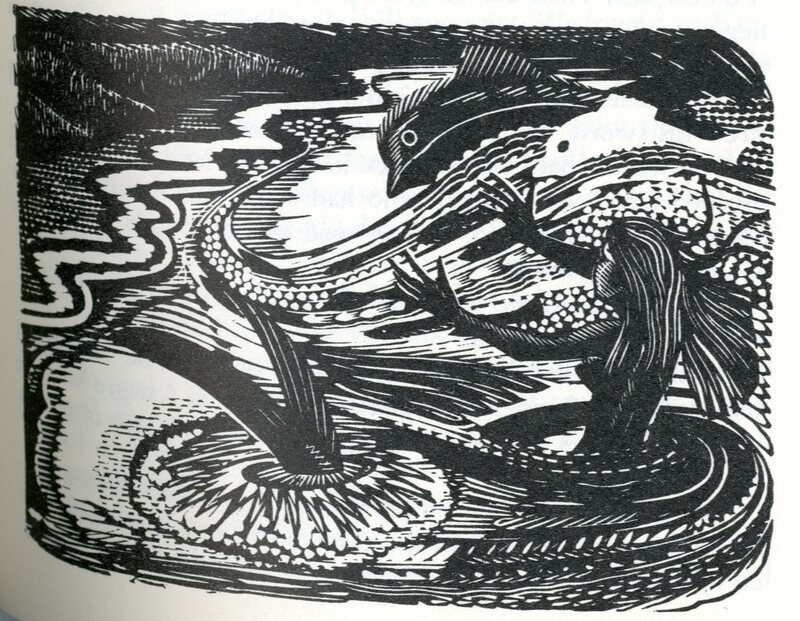 The contemporary mermaid as depicted in Disney’s The Little Mermaid follows much the same pattern as Wilde’s The Fisherman and His Soul. The Little Mermaid falls in love with a human, must sacrifice a part of herself in order to be with him and in the end the sea folk and humans are joined through the unity of two people (Clements). The Little Mermaid follows the same structure as Christian literature in describing the story of the mermaid. The mermaids in both Wilde’s The Fisherman and His Soul and Disney’s The Little Mermaid are most directly and profoundly influenced by early Christian literature. On both counts interaction between the two worlds is strictly forbidden on the grounds that is it not traditional for two people of different species to marry. In both Wilde’s The Fisherman and His Soul and Disney’s The Little Mermaid love proves to be stronger than any force in the world and conquers all. This may have been Wilde’s way of writing about his own homosexual love as it was not only unconventional in his time, but also it was illegal (Young). Wilde even had himself thrown in jail because of his sexuality. The end of his story is a utopian representation of the world accepting that love is greater than all obstacles in hopes that homosexuality would no longer be illegal. The Fisherman and his Soul revisits Christian literature’s story of the mermaid, which directly influenced Disney’s work The Little Mermaid. Though the appearance of the mermaid has been altered over time, the main ideas and customs of the mermaid remain. On all occasions, mermaids and humans are meant to live in separation from one another to avoid havoc within the world and keep traditions alive. However, Wilde’s work suggests that at times traditions must be broken in order for love to conquer all. 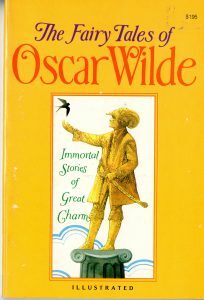 Disney’s astonishingly similar storyline demonstrates the profound influence Wilde’s work has in fairytales; historical and modern. Clements, Ron, Dir. The Little Mermaid. Dir. John Musker. Disney, 1989. Film. Giesecke, Annette Lucia. “Mapping Utopia: Homer’s Politics and the Birth of the Polis.” College Literature. (2007): 194-215. Web. 19 Nov. 2011. Gilbert, Krista Lauren. “The Mermaid Archetype.” ProQuest Dissertations and Theses. (2006): 1-218. Web. 19 Nov. 2011. Jackson, Russell, and Ian Small. “Oscar Wilde: A “Writerly” Life.” Modern Drama 37.1 (1994): 3-11. ProQuest. Web. 25 Nov. 2011. Young, Ian. “Who Framed Oscar Wilde?.” Gay & Lesbian Review Worldwide 7.3 (2000): 24. LGBT Life with Full Text. Web. 25 Nov. 2011.